Just because the ground is covered doesn’t mean you can throw Leave No Trace out the window. 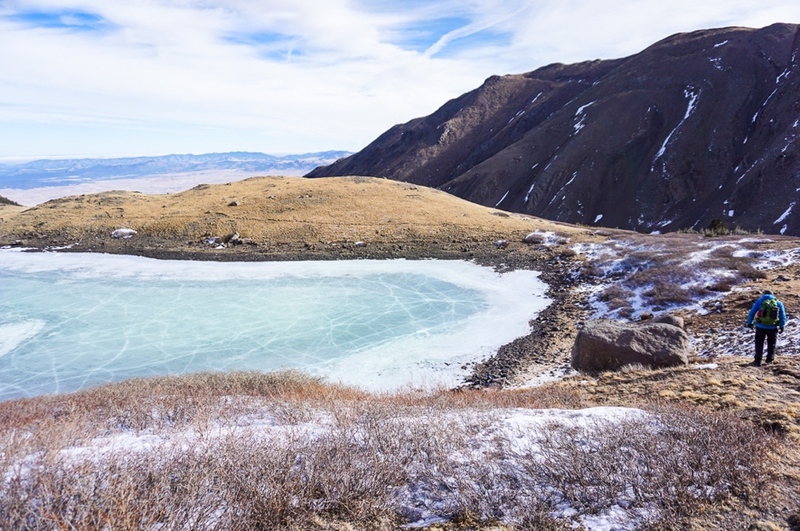 Mountain ecosystems work overtime to survive in harsh winter weather. Keep your outdoor space pristine this winter with some Leave No Trace know-how. Winter conditions typically lead to off-trail travel. The trail often becomes a series of wandering footprints, or you are in the backcountry trying to reach a high point to ski or ride down. Whatever the case may be, you’ll want a GPS to stay on track. If you do find yourself off-route, intentionally or not, steer clear of stepping on young trees and vegetation. Trees, especially saplings, are vulnerable to disruption during the winter months. Plan your route carefully when traveling off-trail around young vegetation. Avoid snow pillows, where vulnerable bushes and saplings may hide underneath the snowy landscape. We are all human, and that means we all use the bathroom from time to time. Just like the summer, always use the bathroom 200 feet (or 70 adult steps) from sources of water and trails. Be aware that in the winter, streams and waterlines are often covered in snow, so consult your GPS prior to a potty break. Similarly, pack out any toilet paper and waste in a Ziplock bag. If it grosses you out, duct tape the baggy so you don’t have to see it. In winter, it is also important to pack out human waste, especially in sensitive, high-alpine environments. Use a specially designed bag, such as a Wag Bag, to store your waste. These bags are designed to break down waste with powder and gel in order to prevent a smelly situation. In non-sensitive areas, bury your waste deep in the snowpack or in a cathole in the ground. These rules also apply for any four-legged companions.